For the "Love Birds". 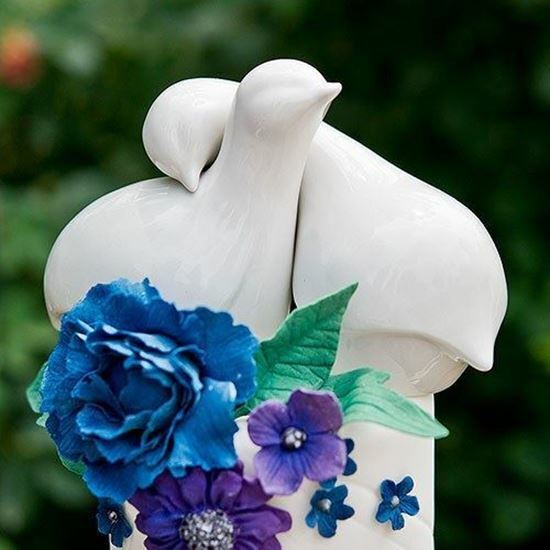 These timeless, contemporary snow white birds nestle together, interlocking their necks in an embrace, or use separately in a centerpiece. Made of glazed porcelain, these are sure to be a lasting keepsake.